I’m delighted to be on the Christmas episode of Saturday Kitchen upcoming weekend. Christmas is possibly one of my favourite times of the year together with the feasts that are associated with it. The bit I am most thrilled about though, is being on the show alongside my personal food hero Rick Stein. I have long been a fan of Rick’s style of cooking and his natural enthusiasm for food and travel. It would be fair to say I was suitably starstruck. We had an absolute blast filming the show thanks to the lovely Amanda Ross and the wonderful team at Cactus TV. As always there are tips and tricks too, but this time look out for my attempt to decorate a Christmas cake (apologies in advance)! 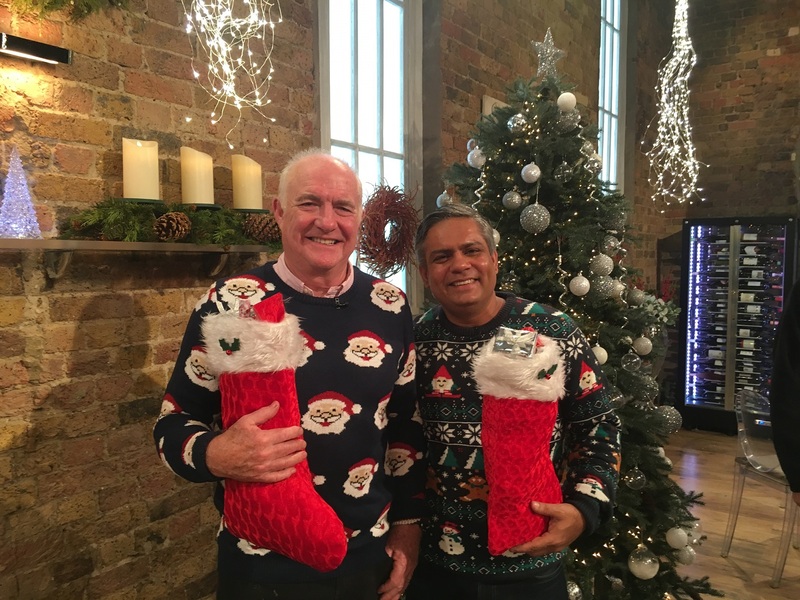 Tune in Saturday 23rd December to BBC One from 9.30am for the Christmas special of Saturday Kitchen. Best wishes for the festive season ahead and may 2018 be a prosperous year for all! Previous Post: Celebrate Christmas With Us!